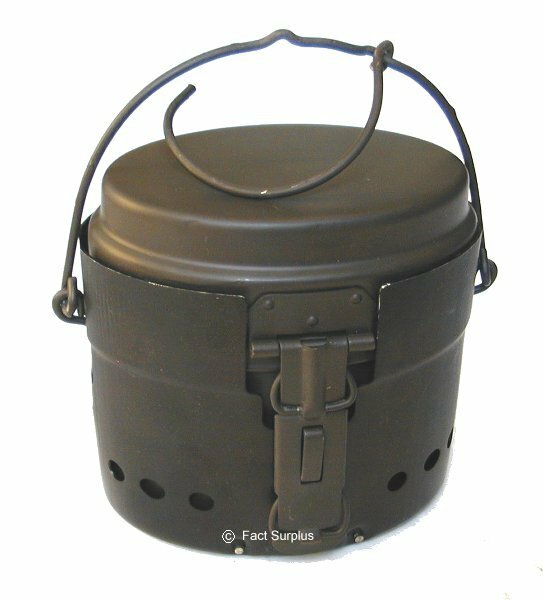 One-man alcohol fuelled stove. 2 cooking pots. 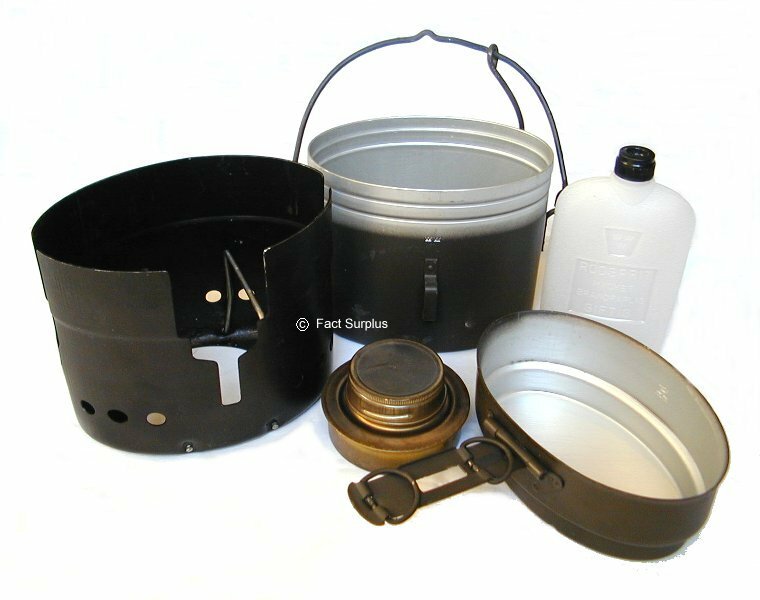 Trangia burner and fuel bottle included that pack away inside the stove when not in use. These are similar to commercial camping Trangias but are more compact. They weigh approx. 950g so are not super-lightweight but they are very robust, and very versatile and reliable. Use with methylated spirit or other camping alcohol fuel or use the hanging loop on the pot or the rings on the handle of the pan on a stick over a fire. Light with a flame or with a shower of sparks from your Swedish Firesteel. One word of warning - don't use the lid of the burner to extinguish the flame. If you do you'll melt the rubber seal in it and you'll fill your bag up with meths. One of my friends has done it and it's not very pleasant. 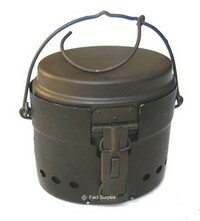 Please note:- Although unused some stoves may have chips and dings from storage - they are new, old stock. G1 - New windshields, burners and bottles with lightly used pans.